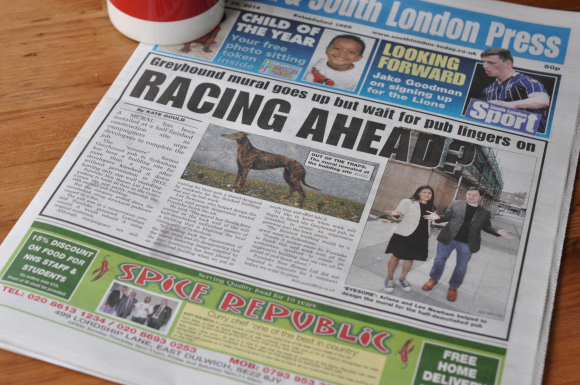 The Greyhound mural is finally installed, although no-one told us and you can’t see it! The building hasn’t been finished and is derelict, but strangely the mural has been installed and is covered in scaffolding. We were contacted by the South London Press about the mural and made it to the front page!